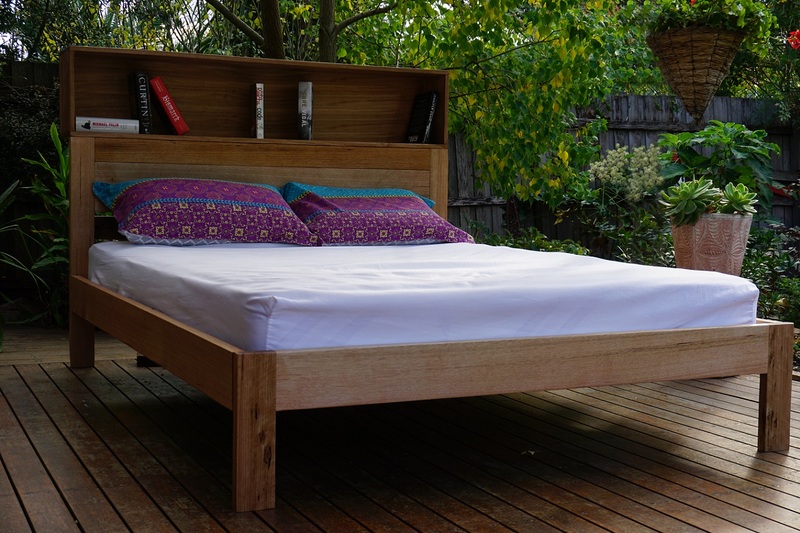 Recycled Australian timbers come from many sources: flooring, construction timber, crates, old furniture, commercial and industrial. 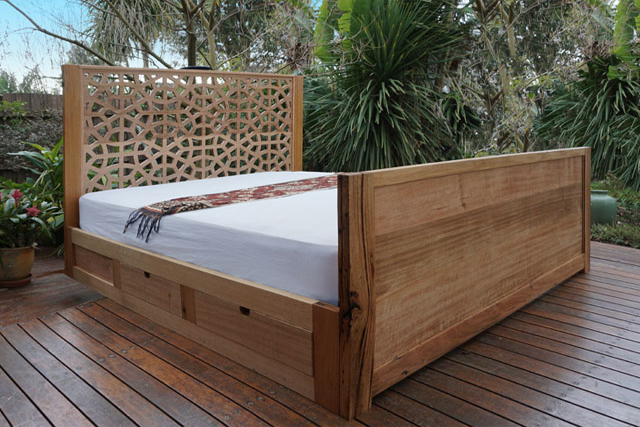 Bespoke furniture made from recycled timber has character and unique colours and textures. 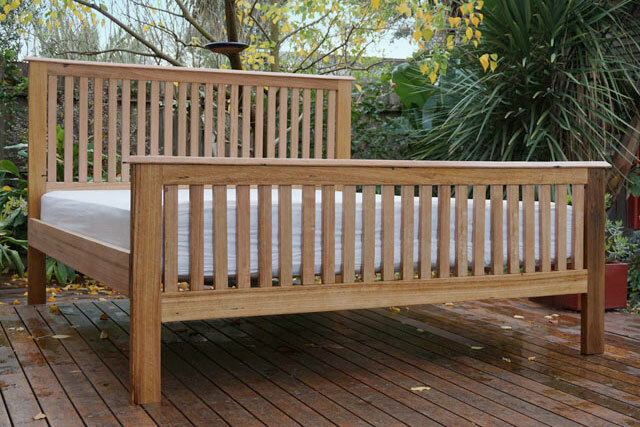 Our furniture is hand-made from hand-picked timber, so no two items are the same. We will custom build to your dimensions and needs. Finishes can be smooth and polished or rough and textured. Our furniture is durable and is guaranteed to last more than 20 years. 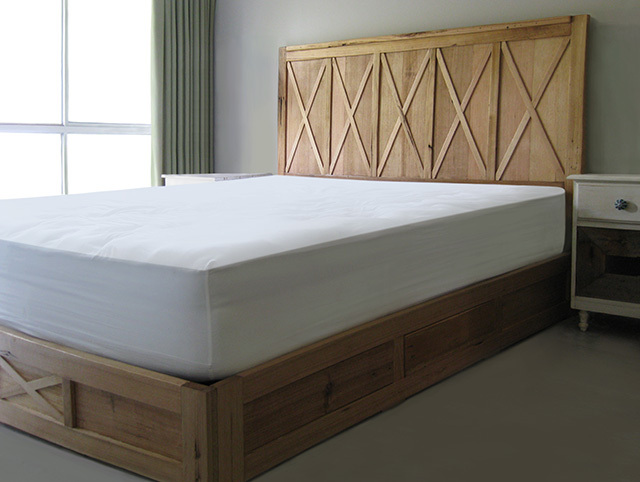 Sustainably grown timbers are an excellent option. Using timber that is not harvested from old growth forests but is grown commercially and sustainably has a much lower impact on the environment. 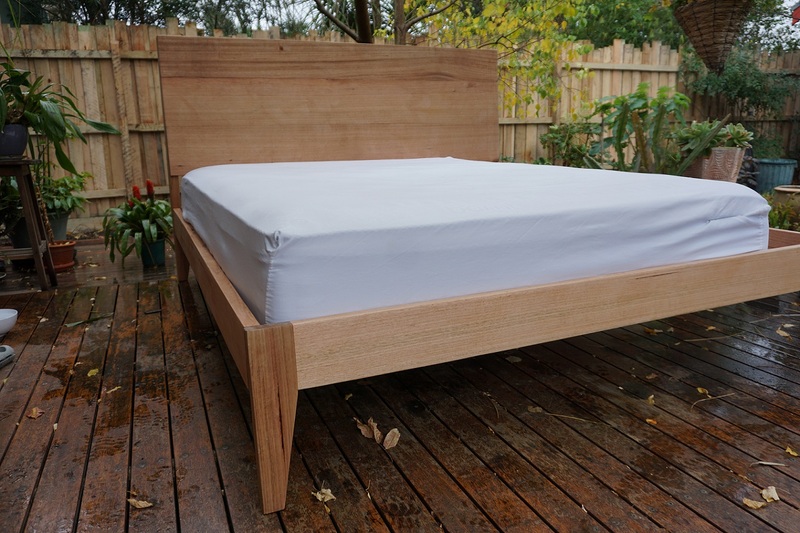 We use only recycled or sustainably harvested Australian hardwoods, approved by the Forest Stewardship Council (FSC), such as alpine ash, Tasmanian oak or messmate. All joinery is first-class traditional; no nails, staples or screws are used, except for hinges and handles on tables. Browse the images of beds, tables and cabinets on the site. If you don’t find what you need, contact me to ask.